It was the fag end of 1969. On my way from Tiruvannamalai to Vellore, I stopped at Polur to have darshan at the samadhi of Saint Vitthoba. We met Duraiswami Swamigal at the mutt who introduced me to a Mr. R. Pargunam. 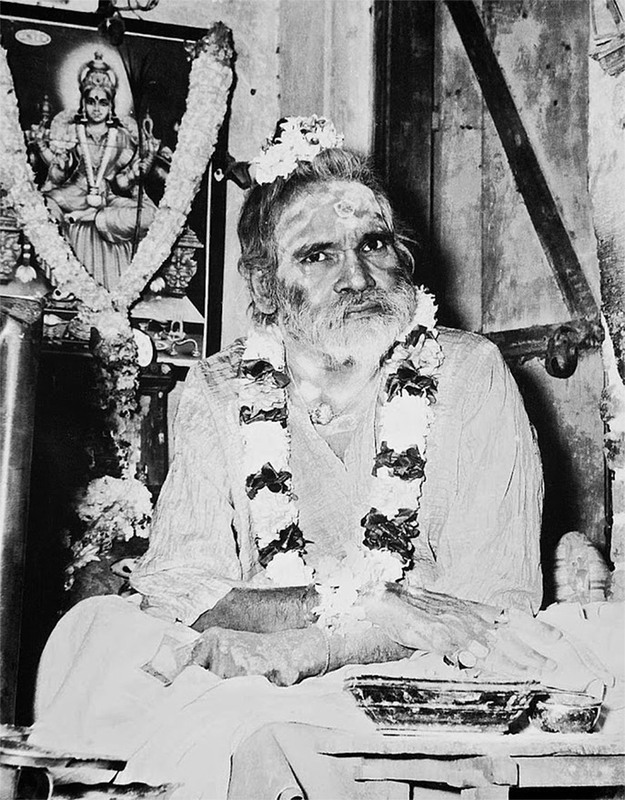 The latter’s father had been a contemporary and devotee of Vitthoba and had had a close association with the saint. Pargunam narrated certain incidents he had heard from his father about Vitthoba’s life. Before I took leave of him, I asked him if he had known any living siddha. “About seven miles from Polur, on the main road to Tiruvannamalai. You will have to take a diversion to reach Poondi village,” Pargunan explained. We left immediately for Poondi accompanied by Duraiswami Swamigal. After proceeding about five miles on the Polur-Tiruvannamalai trunk road, we took a turn to the right at Kalasapakkam and travelled along the River Cheyyar. “This area has been Poondi Swamiyar’s haunt for a number of years. Whether it was blazing sun, or torrential rain, whether it was biting cold or thick mist, he used to spend his days and nights on the river bed only,” said Swamiji. “He looks a man of sixty. But those who have seen him 25 years ago say that they do not find any change in his appearance and that he does not seem to be aging at all. You cannot assess a Siddha‘s age from his appearance,” stated Swamiji. As we traveled, we enjoyed the natural beauty of the rural landscape. Because of good rainfall, there was a perceptible flow in the otherwise dry river. The leaves of a row of peepul trees on the bank rustled in the cool breeze, somewhat reducing the rigours of the blazing sun. “No, it is on the main bus route. See, there! Do you see that group of persons standing near a house? That is the house. We park the car here,” said the Swamiji and driver Palani brought the car to a halt. We got down from the car and walked up to the house. It was a small, tiled house. It had two pyals on either side. The one on the right was a square one, four feet by four feet, and the one on the left was rectangular, four feet long and two feet wide. On the left pyal sat the Poondi Swamiyar. His head was poised at an odd angle. He glanced from time to time at those who stood around. He held a couple of boxes of matches in a tight grip in his right hand as he patiently combed his moderate beard with the fingers of his left hand. Every now and then he looked intently at his fingertips, as if searching for lice or dirt. Then he got back to combing his beard with serious intent. Poondi Swamiyar seated on his pyar. Prominent around him are lithograph pictures of Lord Murugan with the Lord’s Vel and the focus of worship. Besides the Vel, at least four images are of Murugan. A young man arrived, went to the Swamiyar and whispered in his ear. The Swamiyar nodded assent with a gruff ‘hmm’. 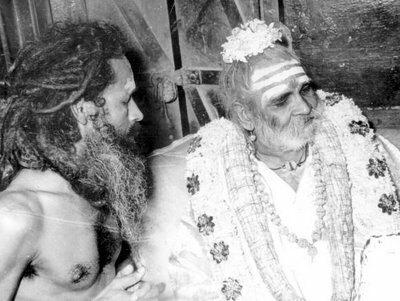 The young man picked up a cigarette, placed it between the Swamiyar’s lips and lighted it. The Swamiyar asked for the box of matches. Now the Swamiyar had three boxes of matches in his right fist! He smoked with his left hand. I found him smoking in an unusual way. He inhaled, removed the cigarette, blew out the smoke, almost immediately took the cigarette back to his lips, inhaled, removed it and blew out smoke. He did this rapidly again and again, like a fast-motion shot in a movie, finishing a full cigarette within a couple of minutes! He let out only a little smoke, yet did not seem to swallow much of it. Two admirers fell prostrate on the ground, stood up, touched his feet with veneration, and asked for sacred ash as prasad. “You may take it,” came the curt command. They took it from the cup, smeared it on their foreheads and left, merely saying, “We are going, Saami”. “Let good befall on your endeavours,” responded the Swamiyar, looking down, then looking up for a split second with sparkling eyes. A boy came with a bottle of aerated water. He opened the bottle and offered it to the Swamiyar, who took it and drank it at a stretch, without once removing the bottle from his lips. As he handed over the bottle to the waiting boy, he let out a noisy and prolonged belch. The boy took a piece of cloth and wiped the Swamiyar’s mouth and nostrils. The Swamiyar received these ministrations like a well-behaved child. Before the boy left, the Swamiyar took a pinch of sacred ash, smeared it on the boy’s forehead and bade him go. I had been staring at the Swamiyar all this while. He suddenly looked at me. Nay, I felt a cool spark strike me. When I had read about the efficacy of Shirdi Sai Baba’s ‘yogic glance’ I could not comprehend its full import. When I experienced the power-packed glance of Poondi Swamiyar, I could imagine the impact Sai Baba’s yogic glances would have had on his devotees. I, who had been watching the happenings without being impressed, fell at his feet the moment he glanced at me. It was an act performed unconsciously. It was a spontaneous response to a look that thrilled me beyond words. A woman admirer put a peppermint in the Swamiyar’s mouth, as if she was feeding her child. He stretched his hand and asked for the piece of paper in which the peppermint had been wrapped. An inexplicable impulse prompted me to offer something to the Swamiyar. I asked my friend to get a cup of coffee from a nearby ‘tea shop’. A local enthusiast who had been busy offering me unsolicited information about the idiosyncrasies of the Swamiyar, told me that he would accept anything only if he had the mind and mood for it, and if he accepted what was offered, it meant the giver had his blessings in ample measure. Hence, it was with much hesitation and trepidation that I proffered the coffee to the Swamiyar. He gave me a searching look and accepted the coffee. I observed his fingers. They were long and thickset. The hand was also large and sturdy. If he stood up he would be a stalwart figure. He drank the coffee too in an unorthodox fashion. He neither raised his head nor removed the cup from his lips. He slurped the coffee fast with his tongue, as a cat would drink milk from a plate. I was immensely pleased that he had not only accepted my coffee but drunk it with relish. No sooner had he finished, another admirer brought him a cup of tea. He drank that too in the same manner. His ways were indeed strange. Different fruits and eatables were littered all over the place. He was surrounded by oranges, apples, grapes, plantains, laddu, halwa, boondhi, chocolates, peppermints, biscuits and what not! On his lap lay a cigarette packet, two chocolate wrappers, a one rupee note. There were two glasses with left-over cold coffee. Pictures of various gods hung on the wall. There was a small but imposing vel of Muruga. A colour picture of Lord Muruga was nailed to a pillar opposite him. The Swamiyar concentrated on it at regular intervals. Behind the pyal, there was a small room. The various eatables offered to the Swamiyar were dumped in it up to the roof. Cigarette packets, boxes of matches, garlands, fruits, plantain leaves, bits of paper and a thousand and one things had been thrown in as directed by him. Nobody dared touch even a trivial thing found on the pyal without his permission. I was startled to find the fruits that had been thrown in were fresh. They had not become rotten. No stink emanated from them. I could not see even a single fly or ant. 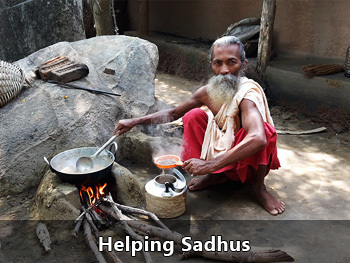 I was introduced to a man named Subramani, who was standing near a thatched shed opposite the house. He was a tailor. He had been attending on the Swamiyar for the past three or four years. Before that, when the Swamiyar was occupying the bigger pyal on the right, he did not allow anyone to even come near him. Only during the last three years had he let others clean the pyal and bathe his body. 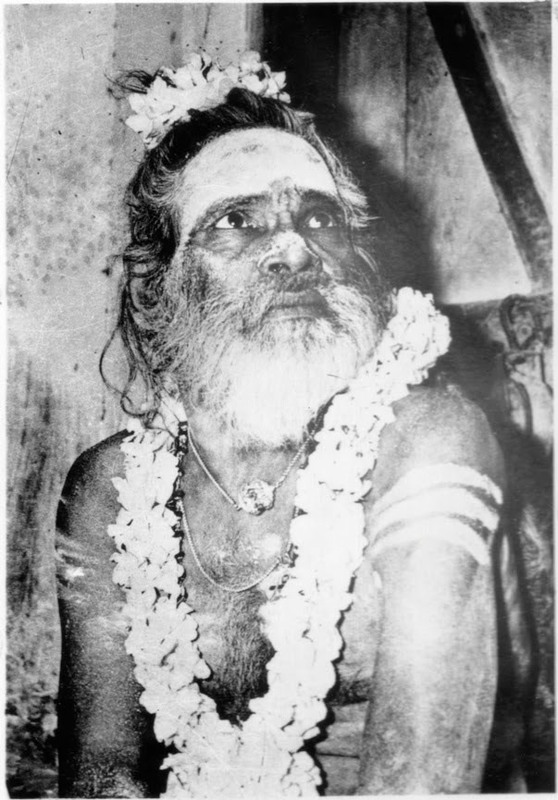 Subramani brought food for the Swamiyar from his house, both in the morning and in the evening, but the Swamiyar “had never asked him or anyone else to bring him anything to eat. He would eat only if he was spoon-fed. If he did not feel like it, he would reject the food summarily. The Swamiyar sat through the whole day. Only at night would Subramani assist him to stretch out on the pyal. It was anyone’s guess if he slept at all. At four in the morning, he would be assisted to sit up and resume his usual posture. “Does he talk to people?” I asked Subramani. “Has any miracle taken place here to prove that he is really a Siddha Purusha? I asked. Subramani wanted to say something, but seemed to hesitate. “Please be frank,” I encouraged him. I took leave of the Swamiyar and left for Vellore. A week later, I was back in Poondi and spoke to him. I said, “Swami, I was here last week. I could not resist the desire to see you again, so I came.” I just spoke inconsequentially, merely because I felt an urge to say something. I least expected him to reply. I was reassured and emboldened. “What is Swami’s name? From where does the Swami hail?” I asked hurriedly. “The Japanese were also there,” quick came the reply. I surmised he was referring to a time during World War II. “May I know Swami’s name and his birthplace?” I asked again, taking advantage of his conversational mood. “I can’t tell you all those things,” he replied in a huff and I felt snubbed. From the subjects he discussed and the idiom he used, it would appear that he had spent long years in rural areas. 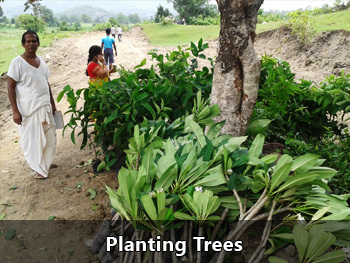 The core of his observations was agricultural problems and village development. But we could not divine the content or decipher the meaning of his utterances. Was he talking about the past, present or future? It was impossible to guess. The Poondi Swamiyar does not reply to all questions. When he condescends to reply, some are direct answers, some are indirect references. He talks to persons at random. Most of the time he keeps a stoic silence. He looks at familiar and unfamiliar faces with equal indifference. It is extremely hard to observe any perceptible change in his expression. Admirers and disciples from neighbouring villages trickle in throughout the day. Some fall at his feet, take the sacred ash and, smearing it on the forehead, speed away. If they take leave of him saying “Poi varen, Saami”, he sometimes replies “Nallathu, poi va “ (very good, you may go), sometimes he simply nods assent, and at other times he remains as still as a rock, just staring at them. Some take him into confidence and discuss their personal affairs. He gives them a patient and sympathetic hearing and sends them away with words of advice. He imparts knowledge through a colloquial language which will catch the imagination of rustic minds or by quoting a proverb which is used in day-to-day life. The deeper we ponder over them, the clearer the underlying import and significance become. An old woman complains to the Swamiyar with deep hurt about her son who has become a spendthrift because of his evil ways. In the Swamiyar’s comforting words to the unfortunate woman, his deep concern for her is obvious. Another devotee announces his plans to start a business, taking a friend as his partner. He seeks the Swamiyar’s blessings for the project. “Even in some families, brothers born to the same mother do not live in amity and peace these days… they quarrel among themelves… you be careful in your venture,” advises the Swamiyar. During another visit, I found the Swamiyar talking meanderingly. Suddenly he said, “Dharma has been given the go-by in the world and hence our unity has suffered grievously”. It looked a truism at first, but when I contemplated more on that seemingly simple statement, I realised what a profound remark it was. I wondered how easily and effortlessly he had given expression to a mighty Truth. “Do you know Sankaracharya controls current, motor and pumpset?” he asked back. I dismissed the answer at that time as being of no consequence. But as I ruminated over the question I could hazard a guess as to what the Swamiyar meant in his oblique language. 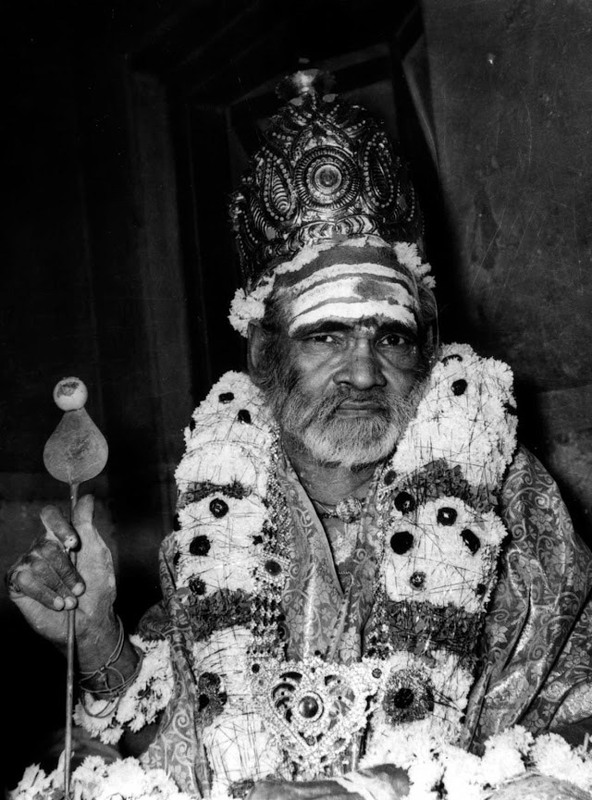 The fact that for over seventy years the Sage of Kanchi, the Head of the Kamakoti Mutt, has been mainly responsible for the spread of the cult of bhakti and spiritual fervour, leading to a welcome moral regeneration among the people, cannot be disputed. With the spiritual power acquired through austerity and Karmic observances, the sage had supplied the moral current for the entire country. 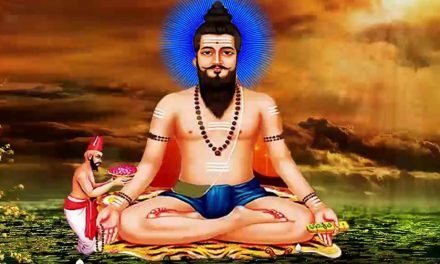 He had revived the long forgotten Vedic way of life, and brought out our dormant folklore and ancient arts by his soul force. By this he has enabled the dharmic flood to flow freely in Bharat, so that peace and plenty may be harvested in the world. I felt that the Poondi Swamiyar had given expression to this accepted fact in his own way and style. When, on another occasion, I referred to this remark of the Swamiyar to the Sage of Kanchi, he merely smiled. When I reached Poondi on my next visit, it was nearly 9 p.m. The peaceful village was asleep. A couple of persons standing in front of the Swamiyar’s pyal were conversing in whispers. We went near him. The fan was on and the fakir was stretched out. His eyelids were closed, but his toes were moving a little. Subramani switched off the light and drew the curtain. “When will you wake him in the morning?” I asked. “The question of waking him only arises if he sleeps! If you call him at any time during the night, he will open his eyes. He is lying down only because we do not want him to sit all the time. The day before yesterday, a group of people suddenly arrived from Coimbatore at midnight. We called out to him. He immediately sat up and talked to them. He also ate the fruits they gave. Do you want to talk to him? I shall ask him to sit up,” said Subramani. “No, please don’t disturb him. I will be committing a sin if I make him sit up when he is stretching his tired limbs. We intend spending the night here. I shall meet him in the morning,” I said. At exactly four a.m. we were awakened by the voice of the tea-shop owner, who was pleading with someone to get up and fetch the milk. We got up and saw a kitten running about near the Swamiyar’s pyal. I had seen it there before. It would play about on the Swamiyar’s lap, curl itself and sleep snugly in his lap, dance on his shoulders, sip the milk from the tiny aluminium cup near him. But the Swamiyar would not take notice of anything. I had not seen him touch the mischievous kitten even once, much less fondle it. The kitten mewed once or twice. “Probably this is Suprabhatham for the Swamiyar,” commented my friend Bobji. We heard the Swamiyar cracking his fingers. Soon afterwards, the boy from the tea-shop arrived with a cup of hot tea and called out “Saami”. The Swamiyar sat up immediately. After he finished drinking the tea, he coughed noisily. Subramani went up to the Swamiyar, wiped his face with a piece of wet cloth, changed his shirt, smeared his forehead with vibhuti (sacred ash), applied chandan and kumkum, garlanded him, removed the curtain and performed the usual pooja. Those who were standing around and the people who had arrived by the first bus offered their worship. The Swamiyar had opened ‘shop’ for the day. The lucky ones would benefit by stopping there and getting blessed. 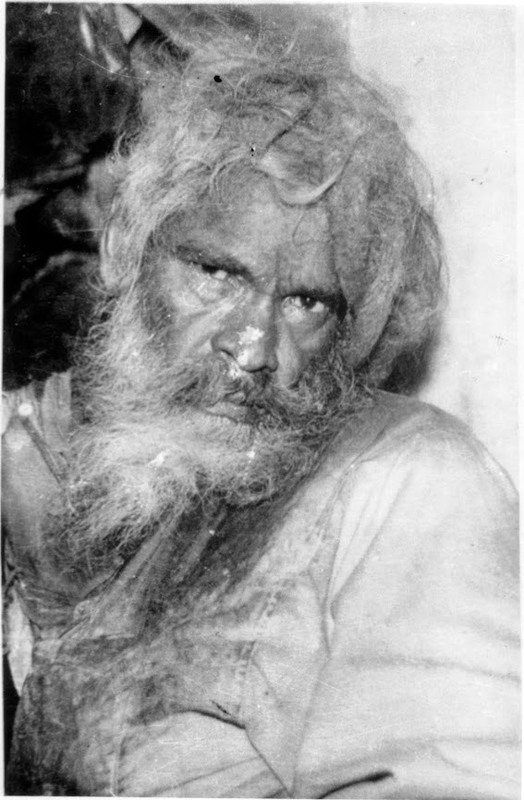 Everyone whom I contacted and made enquiries of said this Siddha had been roaming about in the surrounding rural areas for thirty years or more. I wanted to see the spots associated with the Swamiyar. There is not a single temple in the area which he has not visited, no tree under which he has not sat, no boulder on which he has not slept. 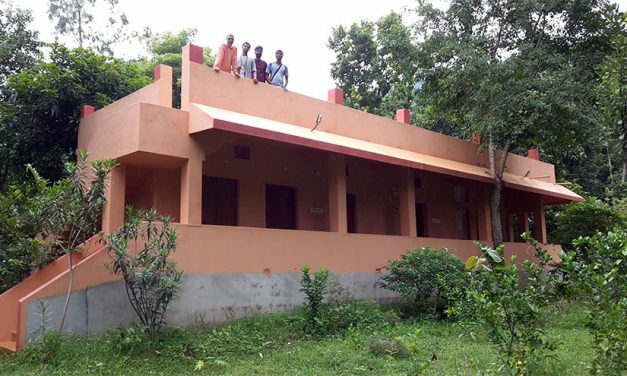 The villagers point out many landmarks, saying with enthusiasm “Swamiyar used to sit here”, “He slept there”, “He would have his food in this house”, or “He would frequent that shop”. Twenty years ago they found him in the Mettupalayam stream to the left of the Cheyyar River, and housed him in a newly constructed hut. He would wander about throughout the day and retire to the hut in the evening. Sometimes he would sleep in a nearby cremation ground. He had been walking aimlessly with a bundle on his head and another in his hand when they found him. Someone who had been very kind to the Swamiyar, expecting him to do him a favour in return, was disappointed. Hurt by the insult, he belaboured the Swamiyar mercilessly as a result of which the Swamiyar left the place and went to Pulluru, a nearby village, where he stayed midst thorny bushes and cactus hedges. He then settled in a running brook. He would not move out of it even if there was a heavy downpour. The villagers, fearing that he might be washed away by the gushing waters, prepared a bamboo cage for him. But one day he was caught in a flood and almost drowned. The villagers rescued him, warmed his body by burning straw and kept him in Pachaiappa Nayanar’s house. 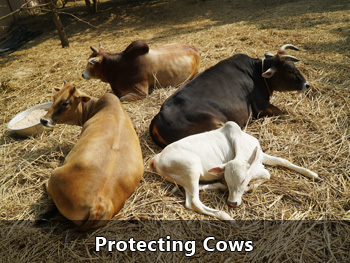 This information was given to me by Ponnusami Nayanar, a former Chairman of the Panchayat Board. For him, Poondi Swamiyar was God himself. He was emotionally charged whenever he referred to the Swamiyar. With moist eyes, he narrated episode after episode which bound him to the Swamiyar for ever. Once, due to a village feud, somebody robbed his sugarcane grinding machine. Complaints lodged with the Police were of no avail. Ponnusami Nayanar, for whom this was a grievous loss, went to the Swamiyar and stood before him, mentally calculating the chances of recovering the machine. “The wonder of it was that that same day, someone saw a nail jutting out of the sand, and when we dug there, we found the machine intact. The Swamiyar had correctly pointed out the spot where the robbers had buried the stolen machine. From that day, he has been my God. At least once a day, I go to him for darshan. I do not talk to him. I pray mentally, and he answers my prayers and sets things right. Recently, there was a mild disturbance in my domestic life. There was a difference of opinion on a vital problem between myself and my son. I was naturally worried. The Swamiyar appeared in my son’s dream and resolved the matter,” narrated Ponnusami Nayanar. Many persons I met and talked to recounted several such miracles. The Swamiyar seems to have registered a strong impression in everyone’s mind by influencing their life through some inexplicable act or other. Once, while walking along the riverside at night, a person was rendered speechless with horror when he saw the dismembered body of the Swamiyar, the limbs strewn in different directions. He fled from the gruesome scene and spent a sleepless night, but the next morning he found the Swamiyar hale and hearty, going about his business normally. Everybody asserts that the Swamiyar has never begged for his food. Some have seen him eat mud and stones when hungry. We went to see his haunts in Prayappattu, Mottur, Natchatrakoil, villages to the north of Poondi. 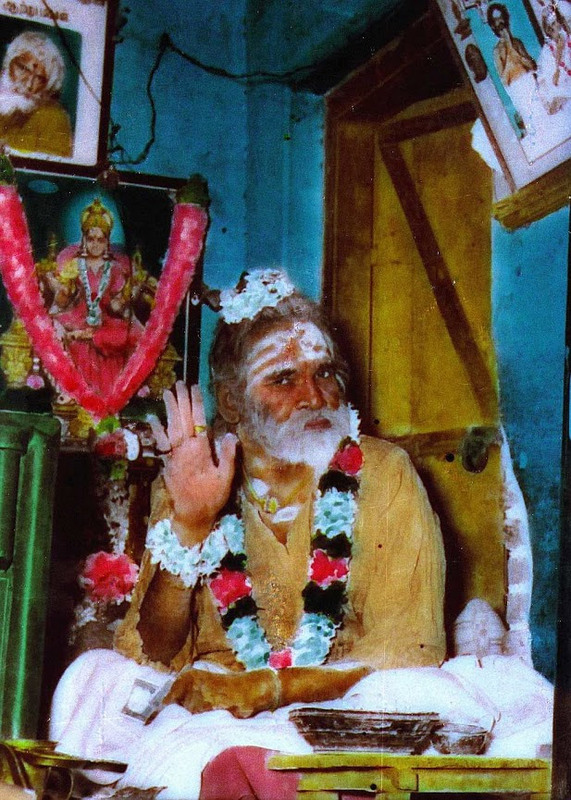 The villagers worship the Swamiyar as God. They love him as their child. They believe by personal experience that a mere look from him will relieve them of their troubles and that a pinch of sacred ash from him will cure incurable diseases. “If he is not inclined to give us prasadam, it is impossible to get it from him whatever tactics we might adopt. Once, I saw a very affluent person trying to get prasadam from his hands by offering him various things, but the Swamiyar would not yield. He was insistent that the visitor must take the sacred ash from the cup himself. I have never seen him discriminate between the rich and the poor, or a familiar face and a stranger,” a villager told us. “A spotless saint with no requirements”, “A wise and dispassionate sage”, “One who is always immersed in his inner self, completely oblivious of his body”, “A true Siddha who showers his blessings speaking the language of the eyes”. These are some of the favourite descriptions given by his admirers, but the Swamiyar remains an enigma, who does not fit into any of these descriptions. I spoke to a young sadhu who was standing still, absorbed in observing the Swamiyar. He had come from Badrinath in the Himalaya. His face was radiant with spiritual lustre. He spoke in English. He said he came to Tiruvannamalai for the Karttikai Deepam, the festival of light. He went to the top of Arunachala Hill from where he saw a bright light emanating from a northerly direction. He came down, walked towards it, and eventually landed in Poondi. “I have come here three or four times since then. Wherever I go, the Swamiyar appears before me and brings me here. I have not seen the like of him anywhere, at any time. It is impossible to fix his position in the spiritual hierarchy. He is so evolved that he seems to have crossed all planes of consciousness and reached the pinnacle of transcendental existence,” summed up the young sadhu. On my return journey to Madras, I stopped at Ratnagiri, at a Murugan shrine on a hillock six miles from Vellore. During the course of my talk with the young Swamiji known as Balamurugan Adimai (‘the Slave of Lord Bala Muruga’), I mentioned my impressions of what I had seen and heard at Poondi. This young Swamiji had been a family man, an employee of the Electricity Board, who had undergone a sudden spiritual transformation one morning while on his way to work. He became a sadhu, but lost his power of speech. He stays at the temple, attracting thousands of devotees who contribute liberally towards improving and enlarging the shrine. Commenting on Poondi Swamiyar, he wrote “The fruit that is beyond our reach. Not easily comprehensible. TOP”, then closed his eyes and raised his hand skyward. Assuring the well-meaning teacher that I had not come to talk to the Swamiyar but only for darshan, I waited for twenty more minutes. I approached the Swamiyar with the intention of taking leave of him. Just then, I was goaded by a sudden inner urge to reveal the dream I had had the previous night. I said, “Last night, the Kanchi Sankaracharya appeared in my dream and suggested that I write something more about you”. The moment he heard me utter the name ‘Sankaracharya’, the Swamiyar stopped his ‘yoga’ abruptly and listened to what I had to say. “I have already written what little details I could gather about you. If you are pleased to provide me with more information, I will be only too happy to record it,” I ventured hesitantly. “Yes, go on… write…,” said the Swamiyar enthusiastically. “I can write only if I get more facts. I am told your good self had stayed in nearby villages like Kanchi and Kadaladi. Will I be able to gather some information if I go to those places?” I asked. I was intrigued because I thought that the Swamiyar was confusing the village Kanchi ten miles away with the town Kanchipuram more than sixty miles away. 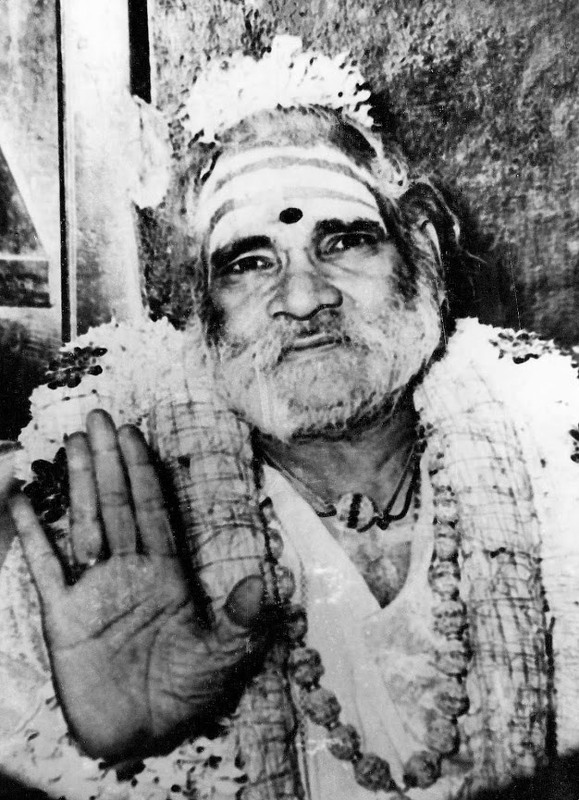 The Sankaracharya’s chief mutt is situated in Kanchipuram. “Do you mean the Big Kanchipuram?” I asked. I headed for the village of Kanchi. We went past Kadaladi and reached Kanchi. It was a tiny little village. It didn’t look like a place where you would find a monastery. 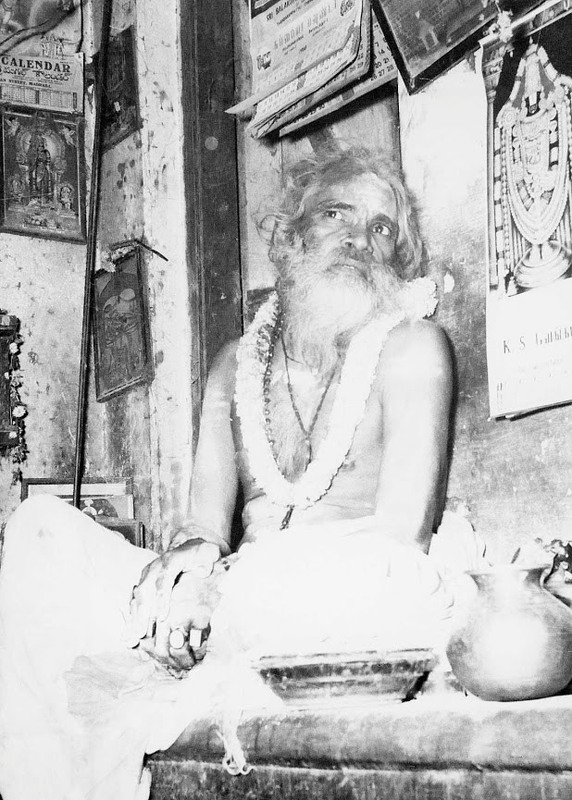 But because the Swamiyar had told me so, I confidently asked a person stretched out on the verandah of an unassuming building whether there was a Sankaracharya mutt in Kanchi. “There is no such mutt here, but we have a ‘Sankara Nilayam’,” answered the person, sitting up. “This is the building. I am the caretaker. When Kanchi Sankaracharya was here last, he expressed a wish that we must acquire a building for a school to teach the Vedas. Hence we bought this by raising-public donations. Why don’t you step in and have a look?” he said and conducted us in. I followed him, unable to suppress my surprise at unwittingly coming to the right building first stop. There was a large portrait of the Sankaracharya in the main hall. I paid my obeisance. I realised that the Poondi Swamiyar must have referred to this building as the mutt. It was just an ordinary brick and mortar masonry structure. The Swamiyar must have described this as ‘maistry work’ in his own inimitable language! I went to the Siva temple whose deity is known as Kara Kandeswarar. 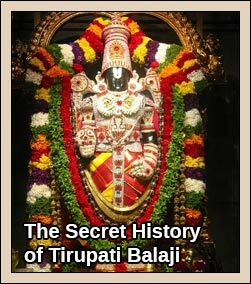 There I learnt of six other Kara Kandeswarar Temples along the banks of the Cheyyar river, in Kadaladi, Mambakkam, Madhimangalam, Yelathur, Poondi and Kuruvimalai. They are together known as ‘Saptha Karaikandam’. These Sivalingas were established and worshipped by Lord Subramania, in atonement for the sin he once committed of cutting off the heads of seven holy Brahmins. Narayanaswami Chettiar mentioned by the Swamiyar was no more the trustee and he was not in the village just then. Instead, I was asked to contact one Venkatarama Chettiar, popularly known as ‘Kullappa’. But as he was sick, I could not talk much with him. 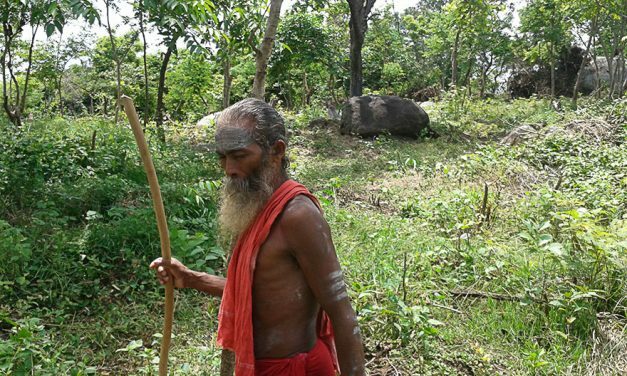 I could not gather any worthwhile information about the Swamiyar’s story in Kanchi other than the vague recollections of some old villagers. As we were proceeding from Kadaladi to Madhimangalam, I saw an imposing hill. On enquiry, I learnt that it was called the Parvata Hills and that there was an Eswara shrine on the top. An old man pointed out the white speck of a dome. “Are there steps to climb to the top?” I asked. “No, you will have to go up by a rough and irregular track. It will take four to five hours to reach the top. It is difficult and troublesome,” said the old man. “Is regular worship performed for the deity?” I asked. I had heard about the Parvata Hills some time ago as one of the haunts of the Poondi Swamiyar. Since then, it had attracted me and when I heard about its mystic association from this local, I decided to climb the hill with my friends. A month and a half later, we arrived in Poondi to seek the blessings of the Swamiyar for our mountaineering venture! 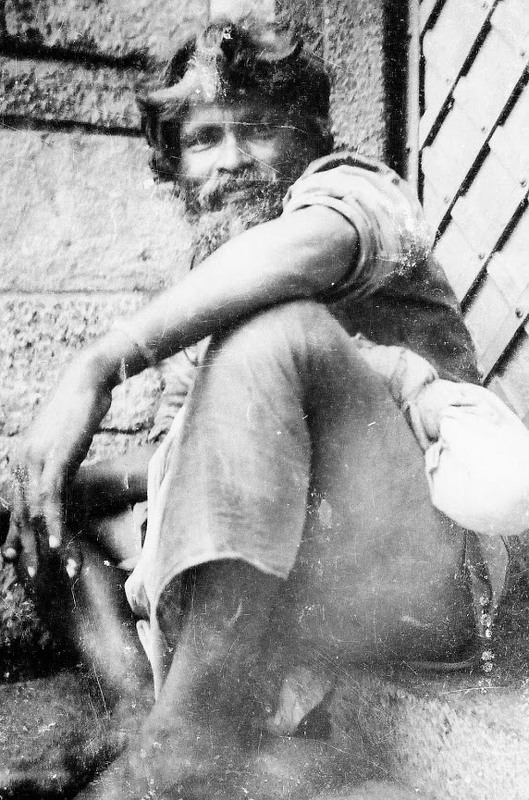 I was anxious to have his advice, along with his blessings, for the expedition, as the locals had painted a frightening picture of the difficulties to be faced during the ascent. “Oh, yes. You may go there,” he promptly replied. “What are we expected to see there?” I asked. “The Pachaiamma shrine. Sivaratri is important there. Annabhishekam. Rathasapthami. I was there on that day,” recalled the Swamiyar. I had previously been informed only of a Siva shrine on top, but Swamiyar spoke of a goddess’ shrine. Though confused a little, I did not seek clarification from him. “Swami, I am given to understand that it is a rather difficult and arduous journey. We need your blessings for a safe expedition,” I requested. “You may proceed…. big rails… small rails… crowbar…all jumper work.” The Swamiyar spoke in monosyllables as usual. I could not make out anything of what he said, but I kept discreetly mum. “It is already late,” mumbled the Swamiyar. We received the sacred ash from the Swamiyar and were on our way. When we reached Kadaladi, about eight miles from Poondi, it was nearly four in the evening. We met Nageswara Iyer, who was happy to help us with our plans. I was anxious to start, without wasting any time, and suggested we begin the climb with the aid of a petromax lamp. But Iyer discouraged us. He said our safety was his responsibility. He knew when and how to send us. “You have dinner at my house, and rest for the night. Get up at five in the morning, and have a bath before you leave for the foot of the hills. I will make all the necessary arrangements,” Iyer said. He was one of those whose bearing and manner of speech demand immediate and absolute obedience. We put ourselves in his hands. The journey up the hill the next morning was hazardous and wearisome. But for the help of local guides and the company of my friends, I would have surely retraced my steps half way. They coaxed me not to give up the attempt. Physically I was exhausted, but some indomitable will spurred me on. The last lap was the worst. It was very steep and slippery. A huge rock was studded with iron bars. I had to almost crawl up at a snail’s pace, holding the bars one by one as I inched my way up. One slip would have cost me my life. “The Poondi Swamiyar must have referred to these iron bars as crowbars,” I thought. “Fixing these bars in the rock is known as jumper work; the Swamiyar must have meant this,” explained Bobji. By God’s grace we successfully negotiated the steep ascent, but then, lo, ahead of us were a couple of girders bridging a yawning gap between two rocks. We would have to cross that. The Swamiyar had evidently referred to this bridge as the ‘big rails’. “There you see the small rails,” pointed out Sundaresan, our photographer. The Poondi Swamiyar had been absolutely correct. We had to climb a small iron ladder to reach the top. A fortnight later, we went to Poondi and recounted our experiences to the Swamiyar. He listened without any comment. When I showed him the photographs, he looked at them with interest but showed no expression in his face. Sensing that the Swamiyar was in a receptive and communicative mood, I returned to my usual questions which he had been parrying all these months. “I came to Kadaladi from Modern Theatres. In those days, we had the Karthikeyan Bus Service plying in these parts… I was taken in one of the buses. I spoke something. They could not understand. They just blinked,” the Swamiyar went on. I thought I was being clever, putting that question. I thought I could discover to which region of the country he belonged. 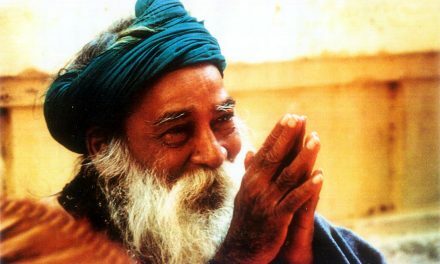 “I spoke a language they could not understand,” replied the Swamiyar, eluding the net I had spread for him! “Which sayabu?” I asked in great eagerness. He went on in this strain without a break. He spoke as if he was witnessing everything he recounted. While he talked, the past, the present and the future appeared to lose their meaning, and time and space seemed to attain new dimensions. While we listened to him, we entertained no doubts regarding the veracity of his narration or any of its details. The pooja over, the Swamiyar was put to bed. I was standing near his head. The Chairman of the Swamiyar Committee suggested that I could ask some questions. I could make nothing of his abstruse and obscure utterances. But I was vaguely conscious that they had a deeper significance and relevance. The Swamiyar refused to be drawn out any further on the subject. Like the seven Karaikanda shrines, on the northern bank of the Cheyyar, there are seven Siva shrines known as ‘Sapta Kailasam’. I expressed my wish to visit these shrines and sought the Swamiyar’s blessings. He blessed me and asked me to go to Vasudevampattu, Thamarapakkam, Narthampoondi, ThenpalHpattu, Pazhankoil, Karappoondi and Mandakalathur. “I never go in. I just see them from outside as I walk along,” he replied. It was past nine when I left the Swamiyar and adjourned to the thatched hut opposite, for my night’s rest. It was nearly four in the morning when I awoke. I got up from my bed, walked up to the pyal occupied by the Swamiyar, and stood by it silently. The little kitten which was curled near the Swamiyar’s feet, suddenly stood up, raised its back, bending it like a bow, shook its body and mildly scratched the Swamiyar’s right foot. He opened his eyes slightly, reacting to the sensation, and was helped to sit up. The alarm clock shrieked. It was four to the second. The tea vendor from the neighbouring shop brought a cup of tea. The Swamiyar received it and drank it in his own queer style. Subramani brought him water in a bucket, and gave the Swamiyar’s face, hands and legs a quick wash, changed his shirt, applied sacred ash on his forehead, garlanded him, lit camphor and swirled it before him. A woman accompanied by her son approached the Swamiyar. “Saami, I took a vow to offer you money, kindly accept it,” she said and handed over 25 rupees in currency notes. He received the money and kept it in his hand. “Saami, the boy has failed the pre-university course. Am I to send him for some job or start a small business for him?” the anxious mother asked. “Wait for 15 days. You need not decide in a hurry… take it easy,” he said with touching affection and concern. 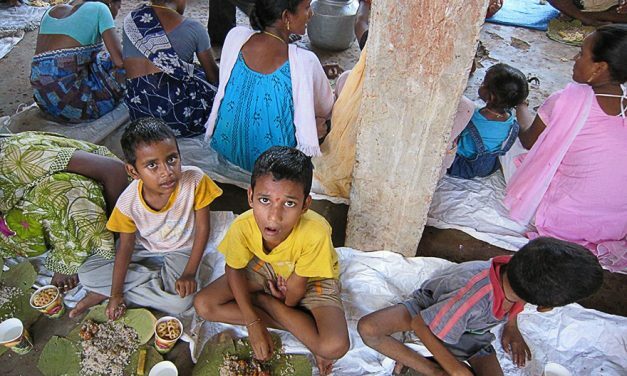 After receiving the prasadam, they departed. A person was waiting with three children. He had come the previous night. He had fallen out with his father. In anger, he had left his home with his family. 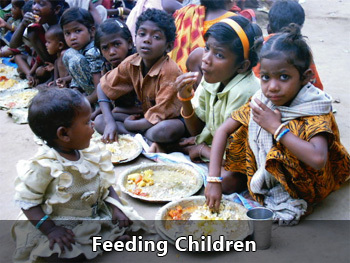 He had left his wife with her parents and started in search of a livelihood, taking his three children along with him. For a couple of days he had wandered aimlessly and, unable to find mental peace, had come for the Swamiyar’s darshan. He came near the Swamiyar and whispered his plight into his ears. “What am I expected to do now, tell me, Saami?” he asked in innocent candour. “You go back to your father. How can you work anywhere with three little children. Who will look after them? If the father is unreasonable and querulous, the son should submit and compromise in the interest of domestic peace. “Yes, Saami, I will do as you bid,” said the person and, receiving the prasadam, took leave of the Swamiyar. Later that morning, after a bath in the holy Cheyyar, we left for Kadaladi, and went round the Parvata Hills, a distance of nearly 16 miles. The next day, we visited the Sapta Kailasam temples in the company of Nageswara Iyer. Back in Madras, Poondi Swamiyar still haunted my thoughts. I had been made aware of the Sapta Karaikandam and Sapta Kailasam shrines and the Parvata Hills only because of this mystic. His utterances, with their psychic flavour, and his simple and rustic homilies had captured my imagination and had inexplicably drawn me to him again and again. But however much I tried, I could not elicit any information about his birth or early days. I gave up the attempt as a futile exercise. His parentage and place of birth and early life still remain a mystery. In retrospect, I am convinced that 1his adds to the awe of his enigmatic personality. Among those who wrote to me about their experiences in the Parvata Hills was A. Viswanatha Pillai, a Highways Inspector. He belonged to Arunagirimangalam, adjacent to Madhimangalam. He wrote to me to say that I should have chosen the Madhimangalam approach rather than the Kadaladi route to climb the Parvata Hills. 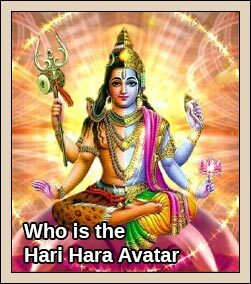 His family had been going to the top on Sivaratri regularly for the past thirty years. Some time later, he met me and invited me to go with him to the Hills on Annabhishekam day. Our conversation turned to the Siddha Purushas who could disappear from view at will and reappear the next moment in any form they choose. Pillai recalled meeting a siddha in the Parvata Hills. About 25 years ago, Pillai had climbed the hill on Sivarathri with his parents and brothers. Among those who are fed on that day was a person who looked like a local woodcutter. He stayed with them overnight, and accompanied them on their return journey the next morning. As they were coming down the Hills, they wondered whether the stranger might be a siddha and whispered their doubts among themselves. The stranger, who intuitively sensed the subject of their conversation, decided to clear their doubts. He stood before a thorny bush and declared, “Some people here do not believe in my powers. Let them know who I am.” The next moment, the bush split in two. The stranger stepped in between the two halves and the bush closed again, completely covering him. Everyone was convinced that he was a siddha. After a minute, he came out of the bush, laughing heartily. Later he walked with them, engaging everyone in light conversation. 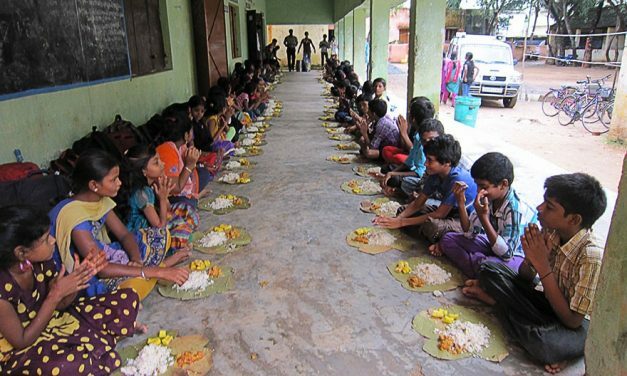 They arrived at the Pachai Amman shrine (mentioned to me by the Swamiyar) in the foothills, offered worship and had a sumptuous lunch. The siddha ate well, sitting next to Pillai. Later, they resumed their journey. Three or four persons were in front, the siddha was in the middle and Pillai and his relatives were at the rear as they walked. When they came to a stream, the Siddha stepped into the stream to quench his thirst. Suddenly, he disappeared and all attempts to find him proved futile. They returned home with a heavy heart. Pillai told me that when he had invited the stranger to join them for dinner the previous night on the hill top, he had at first excused himself. He had said, “We are twelve in all. Only I have come out. 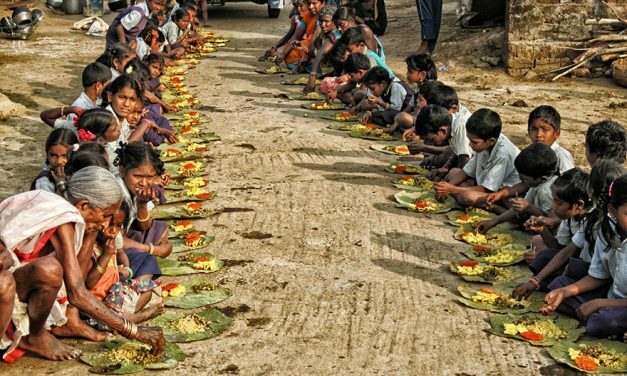 Some other day, all twelve will come and dine with you.” But Pillai had finally persuaded him to dine with them that night. After hearing Pillai narrate his experiences, I remembered what the Poondi Swamiyar had told me once. He had said that “when I went up and knocked at the door, I saw twelve persons sitting inside and I had to return as the time and atmosphere were not conducive then”. I still wonder whether the twelve persons mentioned by the siddha are the same as those referred to by Poondi Swamiyar. The doubt persists in enveloping darkness. I am waiting patiently for the light of dawn. I am grateful to know about such Maha Purusha, is anyone aware of such rare divine beings even to this day? Yes! 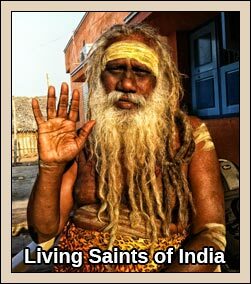 One by name Gopal Baba living in Pithapuram in East Godavari disrict in Andhra Pradesh. There is a temple called Kukkuteswara Swamy temple or more popularly known as Pada Gaya. 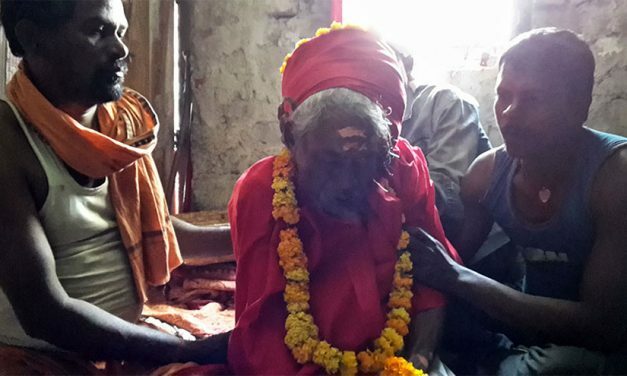 People do Pinda Pradanams like in Gaya for their departed elders!! It is the birth place of Sri Pada Srivallabha which is the first avatar of Maha Yogi and Guru Lord Dattathreya! A mutth has been established by one great sage Sri.Rama Swamy of Holenarasipur of Karnataka!! One can have the darshan of Gopal Baba in his ashram on the national highway! All devotees are fed at his ashram all three times a day!! Pithapuram is near Sasmarlakota a railway junction in South Central Railway and all trains stop there!! Pitha puram is a Shaktipeetham with Puruhutuka devi presiding over the town! It is on her name the town attained its name!! Sathi devi’s peetha sthanam has fallen over there!! An oldest temple of Kunti Madava swamy is also there one among five pancha madhava temples of India! great great avadhootha dharshanam from these advance technologies.. thanks toooooo……..
You are blessed. You gave us an opportunity to get a glimpse of the mahaan. IS ASTOTHRAM (108 NAMES) OF POONDI SWAMIGAL AVAILABLE.? KINDLY POST Pl. 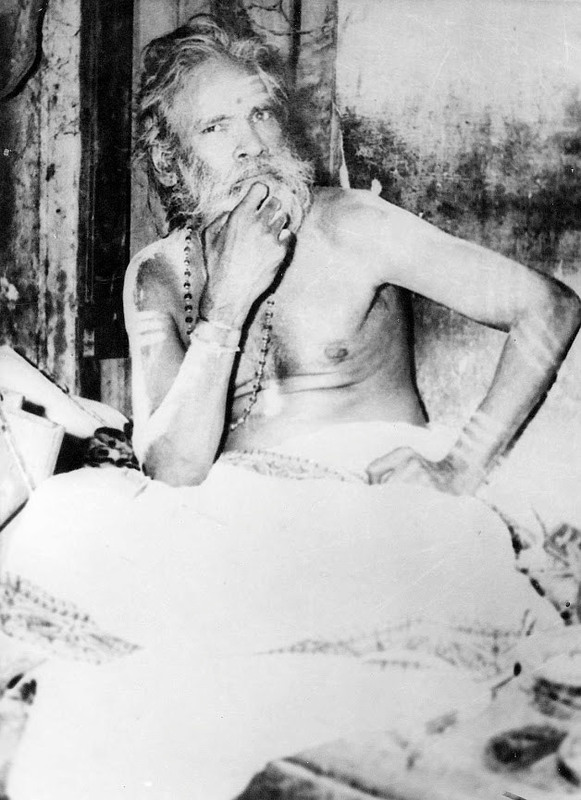 I read your long and interesting article about the Poondi Swamigal Siddha. i am deeply impressed with it. Is there a way that i can connect with you. would you mind dropping me an email at varunrajankapoor@gmail.com. Would you mind sharing your email with me. I am happy to know about Swamiji, recently I went toTiruvannamalai , but I could notknow about the swami.One should be fortunate to have darshan of realised souls. 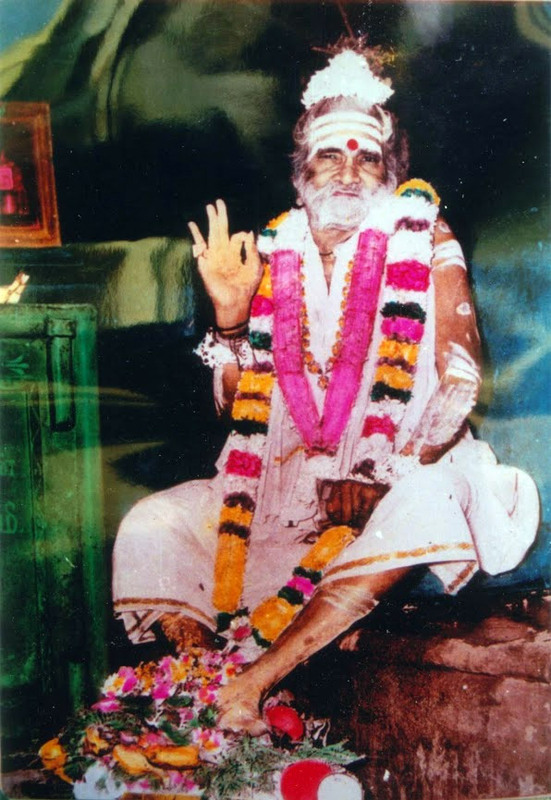 A great yogi.A contemporary of Swmiji came to a village called Kasavanampatti near Dindigul,Tamilnadu from nowhere and settled down in a pial of a house till he attained samadhi.He was a siddhapursha.He is known as Kasavanampatti swamigal. In these days when there is unhappiness and destructive thoughts this will give inspiration that there is God and one must have a fear for good of whole world and do better fo the world peace. My hearty namaskars to such godly souls and i bow down before him for blessings. I appreciate for youer eforts for bringing this light to spread everywhere. i will be in thiruvanamalai in sept 2016.pl guide me to have darshan of poondi swami.m-9868304187.at least send me a message.i am fortunate enough having darsan of siddhar mukoo podu swami my last visit on 28th may16. I will be visiting and doing Girivallam of Arunachala , period is yet not finalised . But can someone guide me to have divine darshans of living Siddhars nearby Arunachala ? Please mail me few details on my below mail address . You mention a Mukoo Podu Swami living at Tiruvannamalai. Could you please provide some more information, who this saint is, and details relevant to contacting him. On Youtube, there is an extended video of “Siddhar”, no other information given. Could this be the same swami?